Local graziers are taking advantage of support while planning for what is forecast to be a tough winter season. Grass budgets, setting critical dates and adaptive planning dominated discussion when members of Watershed Landcare’s Grazing Group met recently. “Members are preparing for a tough winter and are having to make different decisions because they don’t have their usual backstop. A lot of people don’t have the the feed or fodder reserves they had this time last year, and that’s been a big factor in decisions.” said Grazing Group Coordinator, Claudia Wythes. “It’s a good time to re-group and members are taking advantage of support, running plans past each other and having a sounding board for their decision making.”. The Grazing Group provides participants with support, mentoring, vibrant and interactive conversation and new ideas. The group comprises of local graziers with diverse operations, from breeding to trading, and everything in between. Much of the discussion was focused on making a plan based on current conditions and the best information available but also being prepared to adapt that plan if conditions change. “Just because it’s rained don’t stop thinking about it. What stock have you got on hand? What water have you got? Is the quality good? Do you need to get it tested?” said Ms Wythes. 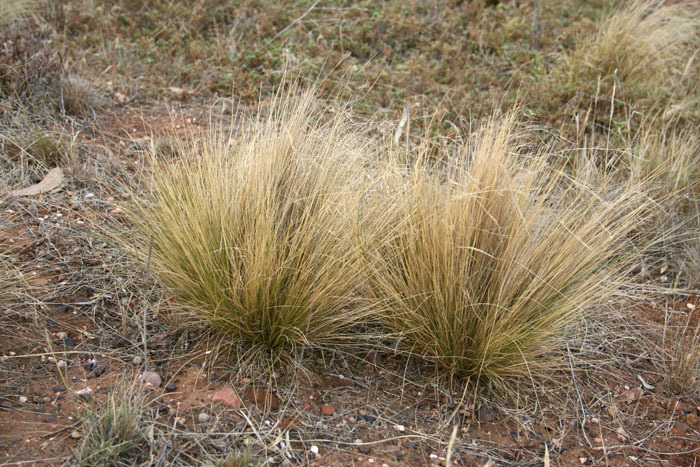 Recognising the importance of rest, especially when paddocks are under pressure, to maintain groundcover was also a principal factor in graziers decision making. Current conditions mean longer rest periods need to be scheduled when planning grazing, for example when getting paddocks ready for spring lambing. 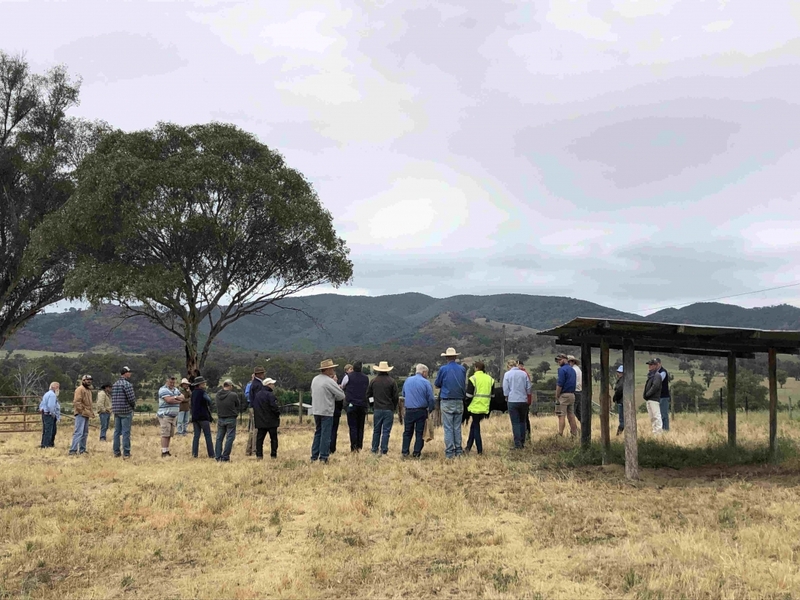 The Watershed Landcare Grazing Group meet on-farm four times a year to discuss seasonal, production, marketing and management strategies and decisions and to explore topics of interest through guest speakers. The Grazing Group is supported by Watershed Landcare and is a part of the NSW Government’s Local Landcare Coordinators Initiative, supported through the partnership of Local Land Services and Landcare NSW. Local landholders and pest managers will be introduced to some cutting edge remote sensing technology at two Watershed Landcare workshops to be held on 27 and 28 March in Gulgong and Pyramul. A team from New Zealand’s Encounter Solutions will be discussing their long-range wireless sensor networks for rural and rugged areas, with applications for pest control operations. 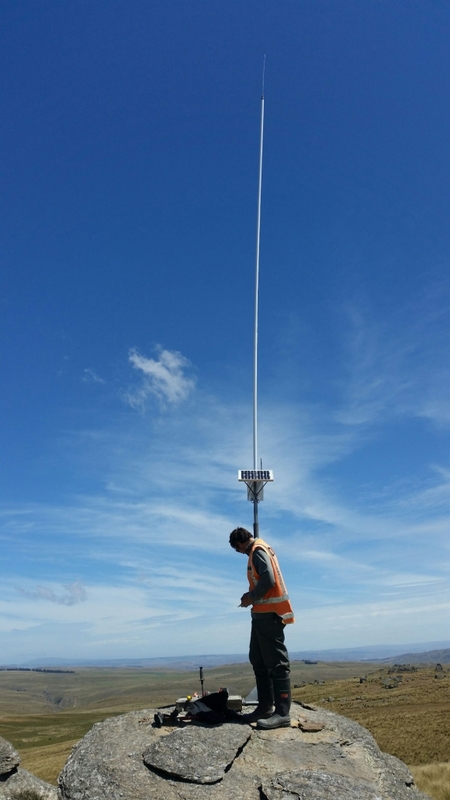 The backbone of the wireless network is the solar-powered Celium Hub, using the Iridium satellite or cellular networks to transport data from the field to a smartphone that can be deployed anywhere in the world. Celium networks have been used to monitor pest traps the length and breadth of New Zealand and last year were trialled in the Cooper Basin, South Australia. This trial, in partnership with the NSW Department of Primary Industry and Australian Wool Innovation Ltd, looked at alerting the team when wild dog traps were triggered. Foot-hold traps were set with a Celium Mole, a device hidden in the ground beneath the trap, that transmits an alert when the trap was sprung, sending a notification to the team. The Celium Moles communicated with a series of Celium Hubs, deployed for maximum coverage of the target trapping area. The trial also tested transmission quality and speed and enabled refinement of the application of the Celium Network. “I can see a lot of potential for this system in our area. Checking traps is time consuming, on top of regular farm activities especially in dry times like we are experiencing now.” said Greg Lawson, chairman of both the Hargraves Hill End Wild Dog Group and the Mudgee Merriwa Wild Dog Association. Mr Lawson is keen for landholders to come along and talk to the Encounter Solutions team. “The alert system would be great to trial in our area, it could save us a huge amount of time and cost and ultimately improve welfare outcomes for trapped animals.” he continued. The Gulgong workshop will be held at the Gulgong CWA Hall on 27 March and the Pyramul workshop will be held at Green Hills Crossroads Shearing Shed, Pyramul on 28 March. Both workshops will run from 9am to 4pm. Attendance is free with morning tea and lunch provided, all welcome. For more information or to register please contact Watershed Landcare Pest Animal Group Coordinator, Beth Greenfield on 0438 090 525. Mid Western Regional Council will be hosting a Carp Muster at the Putta Bucca Wetlands on Sunday 17 March. 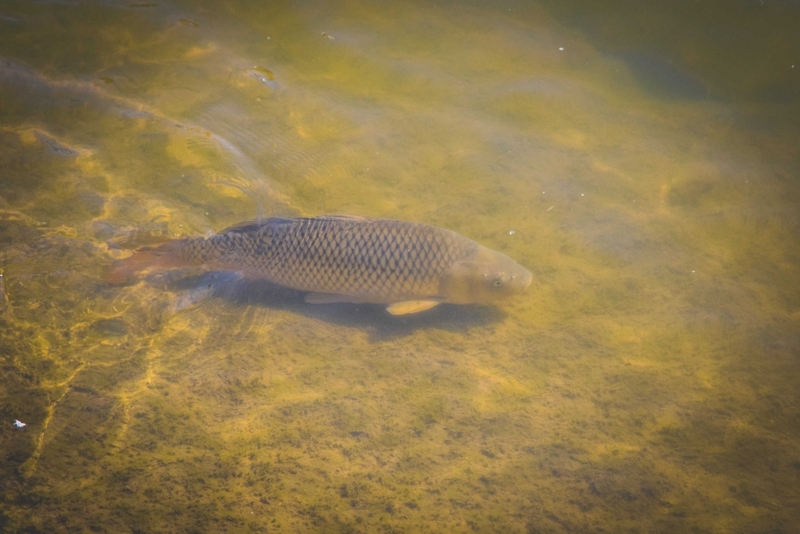 Carp have a detrimental effect on water quality and their feeding habits are destructive to plants, which provide critical feeding, spawning and nursery habitat for native fish. Carp are benthivorous fish that feed in and on the sediments to a depth of about 12 cm. This increases turbidity by suspending sediments and mobilising sediment bound phosphorus, creating an unfavourable environment for other species. High turbidity reduces visibility for visual-feeding predators and the suspended sediment particles can clog gill filaments. Their feeding habits are destructive to soft-bodied and recolonising plants, which provide critical habitat for fish feeding, spawning and nursery habitat. Carp have also been known to consume the eggs of other fish. Carp can also exclude smaller fish from their preferred habitat through their physical dominance and overcrowding. There are various approaches to carp control but it has been recognised that control for wetlands is integral to overall population management. It is estimated that a 6 kg female can produce up to 1.5 million eggs and wetlands are often primary breeding sites for carp. These are also the sites where carp are most likely to have detrimental effects on water quality and affect native fish and invertebrate species. So whether you are young or old and whatever your fishing ability, come along and have some fun and help remove this pest from our waterways. The main event for the day will be the fishing competition which will run from 9am to 12pm at the Putta Bucca Wetlands, Putta Bucca Rd, Mudgee. Prizes will be awarded for Junior – under 12 years, Junior – 13-18 years, adult male, adult female, most fish caught and smallest fish categories. Mudgee Camping and 4WD have also donated lucky door prizes to be awarded on the day. Registration for the fishing competition is free but all entrants 18 years and above must have a fishing license and comply with NSW fishing rules. License or receipt of license must be presented upon entry. All native fish caught on the day must be released. Bring your fishing equipment, hat, sunscreen and show off your angling skills. A free sausage sizzle lunch will be available from 11:30am on the day. For more information contact Cassie Liney, Environment Coordinator with Mid-Western Regional Council, on 6378 2850. Want to learn more about our local creatures of the sky? A couple of great events are coming up where you can get out and about and explore woodland bird and bat habitat and hear from experts about their ecology. These events are supported by Central Tablelands Local Land Services through funding from the Australian Government’s National Landcare Program. As part of Australian Bat Night the Central Tablelands LLS will be hosting a Mudgee Bat Night at Putta Bucca Wetlands on Friday, 22 March. Come along and learn about our local creatures of the night, their habitat and what makes them special. 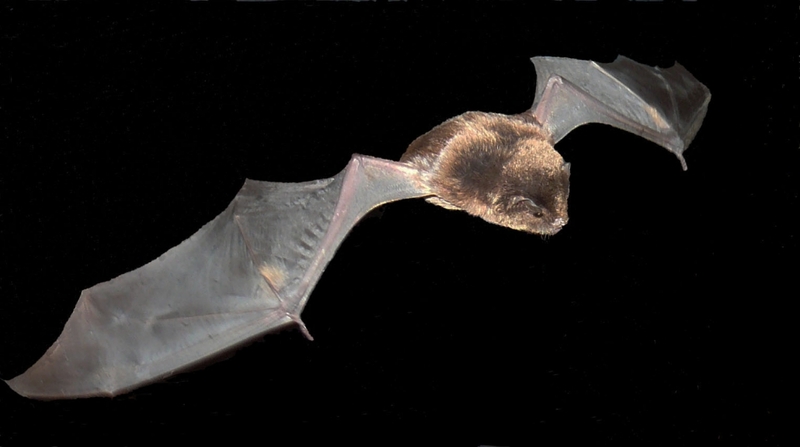 Bat Ecologist Marg Turton will be speaking about the importance of bats and how to attract them to your property. The evening will also include a night time walk to spot and listen to both insect- and fruit-eating bats at the wetlands, kids activities: making a bat mask, colouring in a bat or folding a bat origami and, a free BBQ dinner. 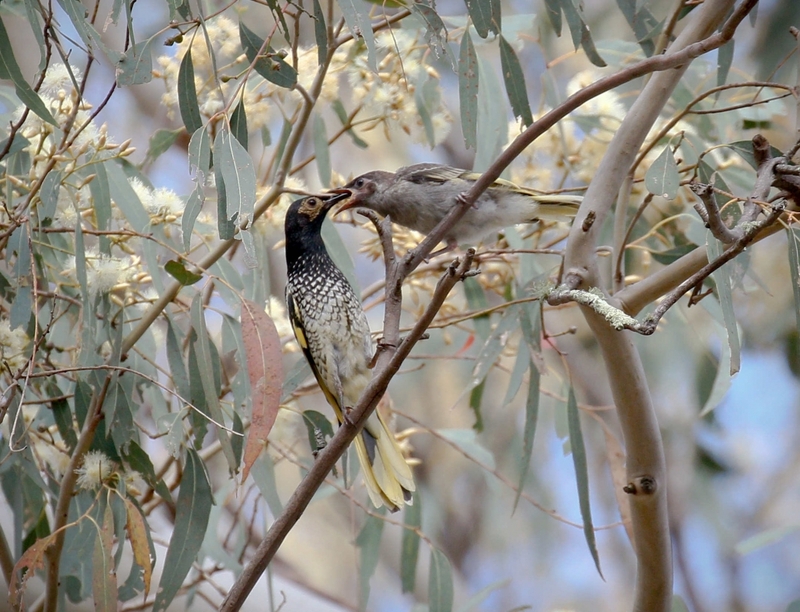 Central Tablelands LLS is also inviting anyone interested in our local woodlands and the birds which call them home to attend a morning of learning about Woodland Birds on Farms, focusing on protecting the Regent Honeyeater, on Thursday 28, March. The event will commence with morning tea at the Cooyal Hall where we will hear from Ross Crates from The Australian National University about his recent research on the Regent Honeyeater and its recovery. Dr Crates studied the Regent Honeyeater as part of his PhD research and will offer an insight as to why this critically endangered bird has been disproportionately affected by habitat loss. Huw Evans from Central Tablelands LLS will also speak about actions you can take to care for your woodland. 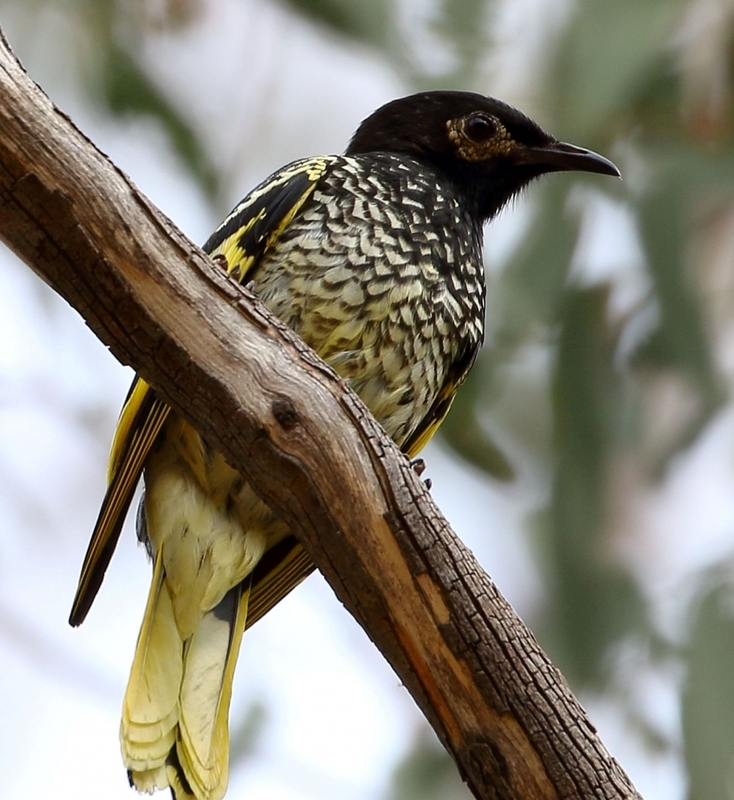 The day will also include a visit to Munghorn Gap Nature Reserve to see what Regent Honeyeater habitat looks like and will conclude with a BBQ lunch. These events are free and all are welcome to attend. For more information about these events, or to RSVP please contact Evelyn Nicholson, Land Services Officer with Central Tablelands LLS, on 0427 637 907 or email: Evelyn.Nicholson@lls.nsw.gov.au. The Mudgee Bat night will be held at the Putta Bucca Wetlands, Putta Bucca Rd, Mudgee on Friday, 22 March from 5:30pm with BBQ dinner at 6:00pm. Please RSVP for catering purposes by 18 March. The Woodland Birds on Farms event will be held at the Cooyal Hall, Wollar Rd, Cooyal on Thursday 28, March starting at 9:30am for morning tea. Please RSVP by 22 March for catering purposes. Through community collaboration, an exhausted quarry has been turned into a public reserve managed for biodiversity conservation and public recreation. The Putta Bucca Wetlands reserve is situated on the site of an abandoned aggregate quarry, just a stone’s throw from the Mudgee town centre. The site was opened to the public in 2011 and since that time has been undergoing extensive restoration and rehabilitation works. The name Putta Bucca is an aboriginal word thought to come from the Wiradjuri language, “puttaba” meaning a hill near a creek and “bugga” meaning stinking fish. The Putta Bucca Wetland is a public reserve managed by Mid Western Regional Council. Rehabilitation works at the site have been a collaborative community project, supported by Mid Western Regional Council, Central Tablelands LLS, Watershed Landcare and many volunteers. Mid Western Regional Council has been successful in securing some $5-6k in grant funding to conduct works at the site, such as weed removal and re-vegetation. To date 5000 trees, shrubs and grasses have been planted by the Friends of Putta Bucca volunteers, Green Army, Council, local schools and community planting events for National Tree Day. Wetlands are one of the most biologically diverse of all ecosystems. The rehabilitation works conducted at the site have significantly increased habitat value and Putta Bucca is now supporting a highly biodiverse wetland ecosystem, despite it’s relatively small size of 31 hectares. The wetland now boasts a multitude of birdlife, as well as many frog, fish, reptile and mammal species, including the platypus. The site is renowned amongst birdwatchers with a growing list of over 160 bird species, including 12 threatened species and now rates as the 55th bird hotspot in N.S.W. 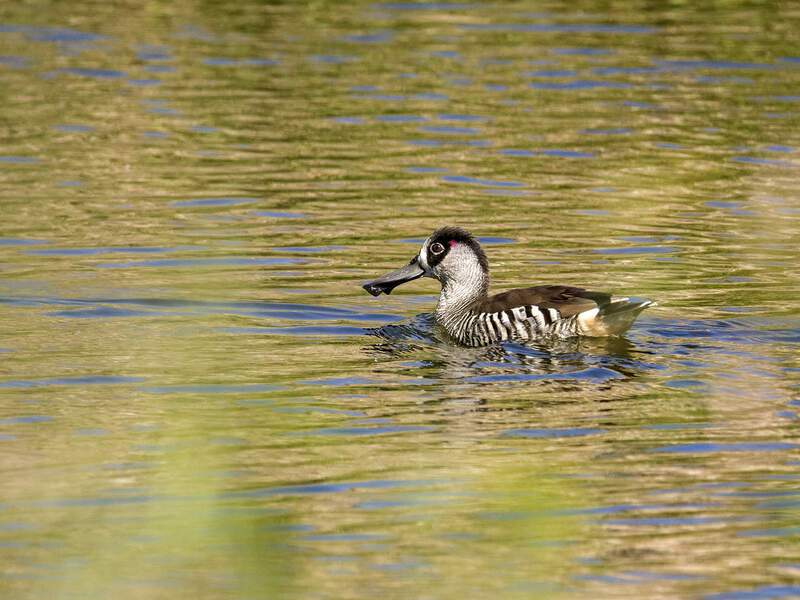 Image of Pink-eared Duck courtesy of Mark Leary. The site is also used as a stopover by animals passing through the area, such as the Swamp Wallaby and the threatened Painted Honeyeater, and is an important breeding ground for migratory bird species, including the Rainbow Bee-eater. While wildlife is thriving at Putta Bucca, future plans for the site include further improvements to recreational facilities to attract more human visitors to the site. Council has been successful in their application for Stronger Country Communities grant funding which will be utilised to build a new bridge over the Cudgegong River and allow for linking walking trails from Lawson Park to the reserve. There are also plans to build a toilet block and a commitment by Glencore to fund works at the site over the next 3 years, commencing with a covered barbeque area. Watershed Landcare is a grassroots community organisation and we work together with our community to support an integrated, productive and sustainable approach to land management. The group has been active in our region for 21 years, working with the community to encourage positive change and progress from a people, prosperity and environmental point of view. Our area covers approximately 900,000 ha (9000 km²) stretching to Gulgong in the north, Burrendong Dam in the west, the Turon River in the south and the Wollemi National Park in the east. Members include established landholders, town and village residents, land managers, people with country retreats and local businesses. Our activities, field days, workshops, seminars and projects focus on topics of importance to our members, and consultation with our community is an important aspect of the planning process. As well as conducting a survey, the group recently held a project planning session. The Management Committee and Coordinators met with members and representatives from the wider community to identify and design projects that meet the groups’ strategic objectives as well as community needs. The group brainstormed project ideas to engage, empower and support our community to achieve a resilient and sustainable environment within our district. The day was very successful with many great ideas flowing. Making Plans: Identifying and designing projects that meet the groups’ strategic objectives as well as community needs. Watershed Landcare’s priorities will continue to focus on projects and activities that address sustainable agriculture, improving soil and grazing management and biodiversity, including the protection of threatened and vulnerable species and communities. Raising awareness of issues relevant to our local environment and supporting people to create change through capacity building and sharing of knowledge and skills remain important core values to the organisation. Do you have a great idea for an event or project we could run, want to get involved or want to find out more about what we do? Visit our website, www.watershedlandcare.com.au, or contact one of our Coordinators, Claudia Wythes on 0412 011 064 or Agness Knapik on 0435 055 493 or email: info@watershedlandcare.com.au. For only $44 per year, you will, receive newsletters about our events, and other activities we think might interest you. Be the first to know about our on-ground projects, and be eligible to benefit from grant incentives. Gain free or discounted entry to our events. Imagine it took more than a 100 years to build your home? Well if you are a small animal, such as the eastern pygmy-possum, then it might take 100 years for a tree to grow large enough to develop a hollow suitable for you to nest in. If you are a parrot or an owl, and require a larger, deeper hollow, then it might take 200-300 years to develop. 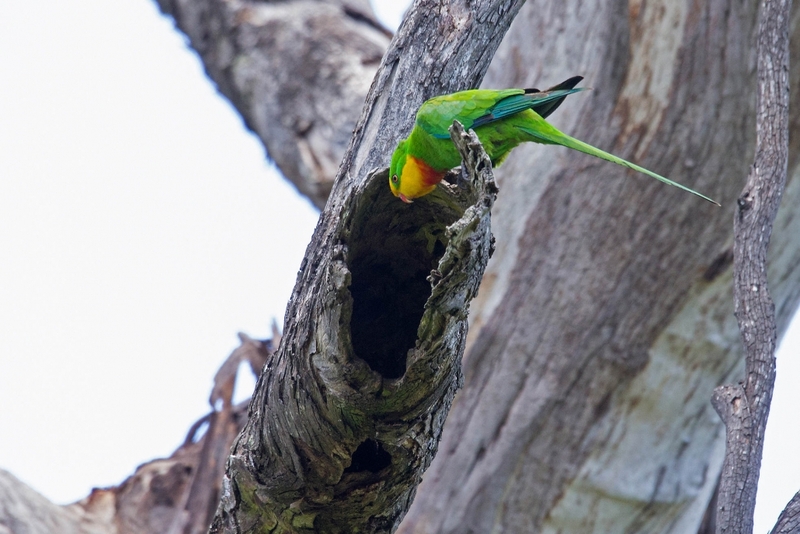 A large variety of creatures rely on hollows for nesting or breeding habitat; from tiny microbats, possums and gliders, to owls, cockatoos and other parrots. And they all have different requirements and preferences as to the size and shape of the of the opening, and the depth, volume and extent of insulation of the cavity. A range of hollow types is necessary for biodiversity and the presence of old, mature trees in the landscape is crucial. Image of Superb Parrot courtesy of Mark Leary. Hollows occur primarily in old eucalypt trees, where formation by wind breakage of limbs, lightning strike or fire, termite, insect or fungal damage is less likely to be covered by growth of external sapwood. Hollows with large internal dimensions are particularly rare and only occur in large, old trees with sufficient trunk diameter. Hollows are becoming an increasingly scarce resource for hollow dependant species, those that rely on hollows for shelter and nesting, either on a daily or seasonal basis. The loss of hollows can lead to local extinctions of these species. Many of our mature old trees are isolated and under stress, or reaching the end of their life span, and natural recruitment is rare, particularly in agricultural areas where woodlands have been converted to crops and pastures. This is part of the reason why many of our large hollow-nesting birds, including the Glossy Black Cockatoo and Superb Parrot, are vulnerable or endangered. The loss of tree hollows has been listed as a key threatening process by the NSW Scientific Committee. Watershed Landcare have launched our ‘A Home Among the Gum Trees’ project and we are seeking expressions of interest (EOI) from landholders in our region to protect mature hollow bearing paddock trees on the land they manage. Funding of $7,000 is available to conduct on-ground works which protect mature habitat trees, the project is now open for EOIs and will close on 15 February. For more information or to submit an EOI, visit our website: http://watershedlandcare.com.au/projects. 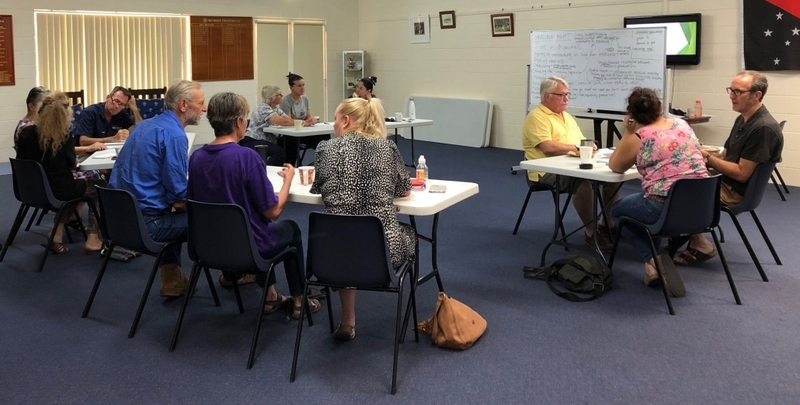 The Watershed Landcare ‘Home Among the Gum Trees’ Project is supported by Local Land Services through funding from the Australian Government and is a component of the Driving Corridor Connectivity Project funded through NLP2. http://watershedlandcare.com.au/wp-content/uploads/2019/03/Superb-Parrot_small.jpg 1310 1964 wslc http://watershedlandcare.com.au/wp-content/uploads/2016/12/logo-watershed-300x104.png wslc2019-02-08 08:14:542019-03-01 08:17:57Imagine it took more than a 100 years to build your home?